Kegiatan berwisata atau bepergian ke tempat yang tidak biasa, dengan tujuan untuk berekreasi atau mengisi waktu senggang lainnya, secara lestari dan berkelanjutan untuk menikmati, menghargai dan mempelajari alam, lingkungan dan budaya pertanian dari hulu hingga hilir. Faculty Club Hiroshima University was established for several purposes, including to facilitate academic exchange, to contribute to educational research within the university and academic and cultural exchange between the university and the community, and to promote friendship and interaction among faculty members, students and alumni. Reservations and applications for use can be made as many as six months in advance and up to the day before use. Reservations can be made on the “Iroha” (campus portal). 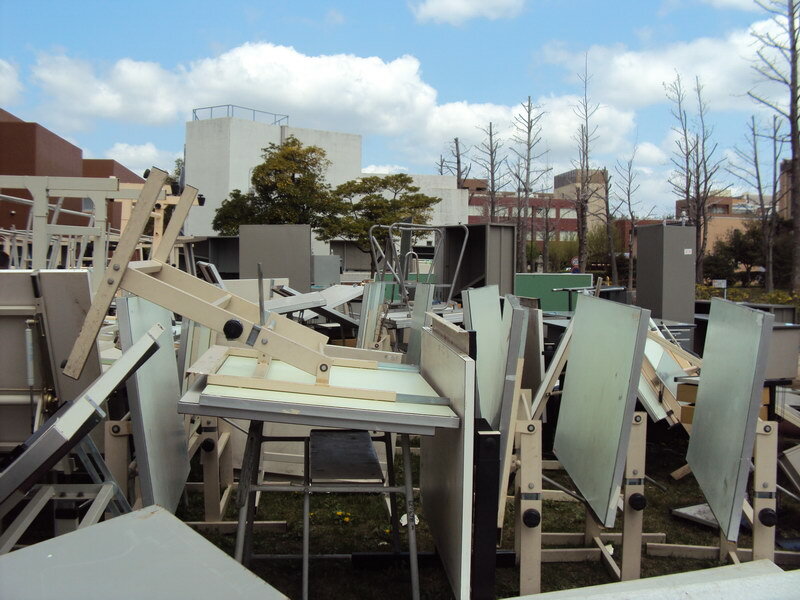 If applying to use shared equipment, make mention of it when making reservations. To use the lodging facilities, submit the application form along with the fees to the Common Administrative Services Office (payment must be made up front). Contact the restaurant, La Boheme, directly. Lompatan Katak Desain Lanskap Perkotaan atau istilah lainnya adalah Leapfrogging for Urban Landscape Design. 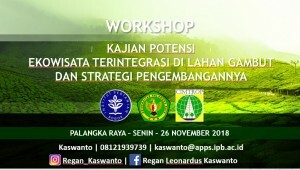 Pada sebuah lanskap yang memerlukan adapatasi dan mitigasi yang lebih baik dalam waktu dekat diperlukan lompatan katak (leapfrogging) agar bisa menghemat energi, biaya dan waktu untuk mencapai titik keberlanjutan yang seimbang. 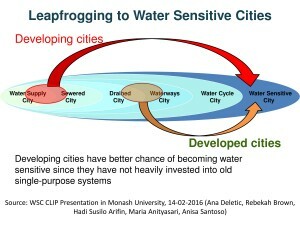 Untuk waktu dekat ini maka dilakukan pendekatan pada leapfrogging dalam konteks Water Sensitive Cities (WSC) atau Kota Ramah Air (KRA). 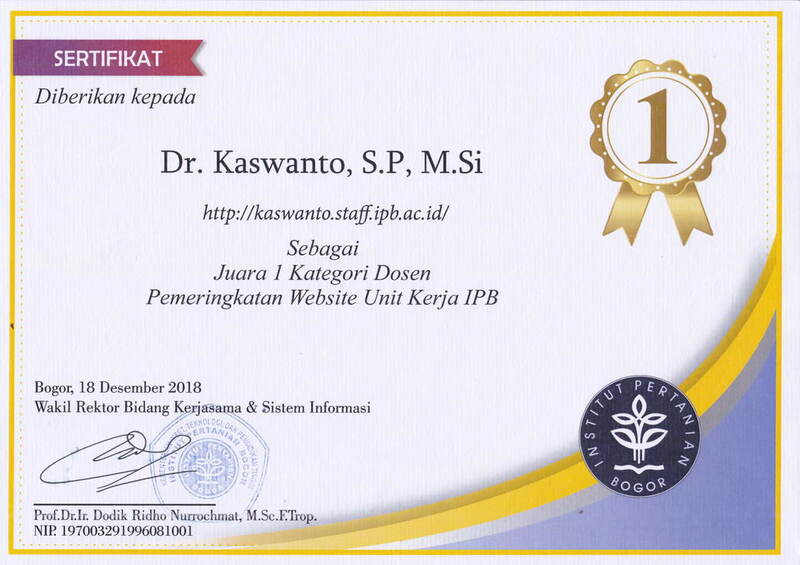 Kegiatan ini dilakukan dalam payung kerjasama yang didukung oleh the Australia-Indonesi Centre (AIC), bekerja sama dengan Monash University (MU) – Institut Pertanian Bogor (IPB) – Universitas Indonesia (UI). 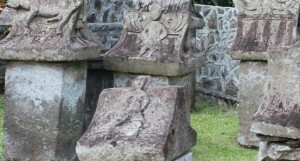 Kegiatan penelitian ini difokuskan pada Kota dan Kabupaten Bogor pada kawasan yang berupaya untuk melakukan leapfrogging menuju Kota Ramah Air. 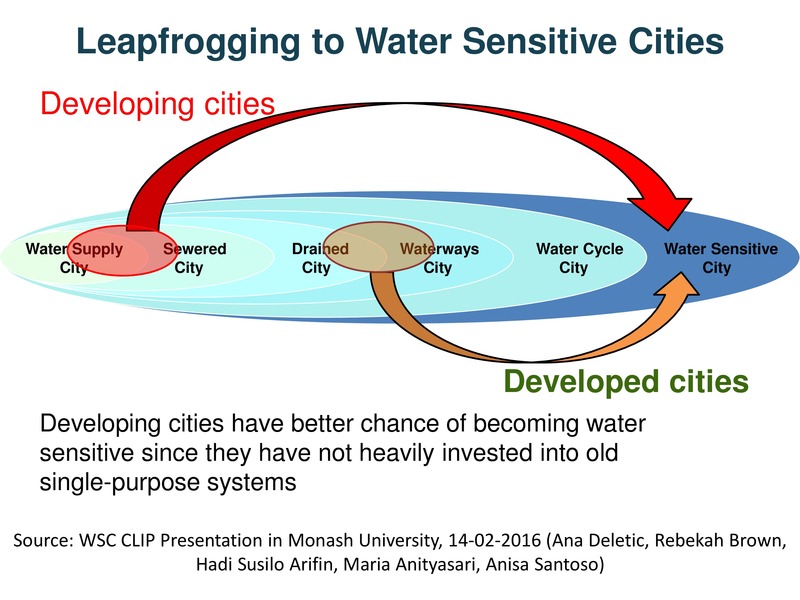 Tahapan menuju Kota Ramah Air (KRA) dimulai dari Water Supply City, Sewered City, Drained City, Waterways City, Water Cycle City, Water Sensitive City (WSC). Tahapan ini umumnya dapat ditempuh hingga 50 tahun lebih, namun dengan adanya ide leapfrogging maka konsep ini dapat dilakukan kurang dari 20 tahun. Konsep lompatan katak ini perlu dilakukan dalam arti bahwa kegiatan lompatan ini dibantu dengan teknologi dan pengetahuan dari negara-negara yang sukses melakukannya. Rays of light travel from the object, through the picture plane, and to the viewer’s eye. This is the basis for graphical perspective. Linear perspective always works by representing the light that passes from a scene through an imaginary rectangle (realized as the plane of the painting), to the viewer’s eye, as if a viewer were looking through a window and painting what is seen directly onto the windowpane. If viewed from the same spot as the windowpane was painted, the painted image would be identical to what was seen through the unpainted window. 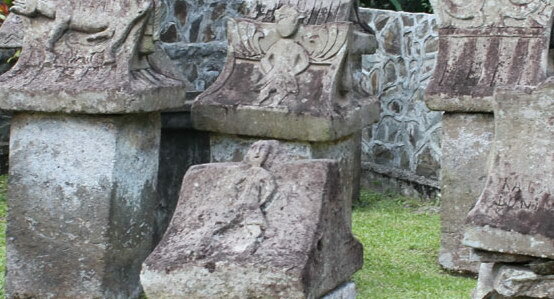 Each painted object in the scene is thus a flat, scaled down version of the object on the other side of the window. Because each portion of the painted object lies on the straight line from the viewer’s eye to the equivalent portion of the real object it represents, the viewer sees no difference (sans depth perception) between the painted scene on the windowpane and the view of the real scene. All perspective drawings assume the viewer is a certain distance away from the drawing. Objects are scaled relative to that viewer. An object is often not scaled evenly: a circle often appears as an ellipse and a square can appear as a trapezoid. This distortion is referred to as foreshortening. Perspective drawings have a horizon line, which is often implied. This line, directly opposite the viewer’s eye, represents objects infinitely far away. They have shrunk, in the distance, to the infinitesimal thickness of a line. It is analogous to (and named after) the Earth’s horizon. Any perspective representation of a scene that includes parallel lines has one or more vanishing points in a perspective drawing. A one-point perspective drawing means that the drawing has a single vanishing point, usually (though not necessarily) directly opposite the viewer’s eye and usually (though not necessarily) on the horizon line. All lines parallel with the viewer’s line of sight recede to the horizon towards this vanishing point. This is the standard “receding railroad tracks” phenomenon. A two-point drawing would have lines parallel to two different angles. Any number of vanishing points are possible in a drawing, one for each set of parallel lines that are at an angle relative to the plane of the drawing. Perspectives consisting of many parallel lines are observed most often when drawing architecture (architecture frequently uses lines parallel to the x, y, and z axes). Because it is rare to have a scene consisting solely of lines parallel to the three Cartesian axes (x, y, and z), it is rare to see perspectives in practice with only one, two, or three vanishing points; even a simple house frequently has a peaked roof which results in a minimum of six sets of parallel lines, in turn corresponding to up to six vanishing points. In contrast, natural scenes often do not have any sets of parallel lines and thus no vanishing points. The earliest art paintings and drawings typically sized many objects and characters hierarchically according to their spiritual or thematic importance, not their distance from the viewer, and did not use foreshortening. The most important figures are often shown as the highest in a composition, also from hieratic motives, leading to the so-called “vertical perspective”, common in the art of Ancient Egypt, where a group of “nearer” figures are shown below the larger figure or figures. The only method to indicate the relative position of elements in the composition was by overlapping, of which much use is made in works like the Parthenon Marbles. Di Sulawesi Utara, tepatnya di Desa Sawangan, Kecamatan Airmadidi, Kabupaten Minahasa, ada sebuah pekuburan yang dinamakan Taman Waruga. Ada beberapa versi mengenai asal usul nama waruga. Versi pertama mengatakan bahwa istilah “waruga” berasal dari kata “maruga” (bahasa Tombulu, Tondano, Tonsea) yang artinya “direbus”. Versi kedua mengatakan bahwa “waruga” berasal dari kata “meruga” (bahasa Minahasa Kuna) yang berarti “lembek” atau “cair”. Sedangkan, versi yang lain menyebutkan bahwa “waruga” berasal dari dua kata, yaitu “waru” yang berarti “rumah” dan “ruga” yang berarti “badan”. Jadi, waruga dapat diartikan sebagai “rumah tempat badan yang akan kembali ke surga”. Start from October 2011, construction of pedestrian passage of Saijo Station has been begun. As stated in Higashi Hiroshima City newsletter, this construction will be finished around 2014. So, it still 2 years to go. And unfortunately, I am probably do not have any chance to see this new construction, coz I have to go back to my country on 2012. By the way, actually this construction is to build a pedestrian passage between the north and south sides of station. Currently, only one exit is provided in this station, so this is not so convenience. Furthermore, there is no elevator. So, you can imagine when there is a disable person come to take a train. It is really uncomfortable for them. So, I hope it will change my point of view when this construction is finished. When I take a look on their design. It is really cool!! They will change it to something different! I am really amaze with this. The statement about Saijo Station is located in countryside will be changed! It is like an urban station! They absolutely have four or more floors, they probably it will be used as department store, or shopping mall, or restaurant or anything. I hope it will be get better!!! I will try to post the progress of this construction at least twice in one semester! I hope you enjoy my story about Saijo Station. Jepang dikenal sebagai negara yang kerap membuang barang-barang perlengkapan seperti furniture, meja, bangku, elektronik dan sebagainya. Selain alasan karena barangnya sudah tidak terpakai atau sudah tua, tapi alasan utamanya adalah untuk membantu roda perekonomian Jepang. Lajunya produktivitas di Jepang dikarenakan permintaan yang semakin bertambah. Permintaan yang tinggi bukan atas dasar kebutuhan, tapi atas dasar untuk membantu arus perputaran barang di Jepang. Barang-barang yang kerap dibuang sebenarnya masih layak pakai. Lihat saja tumpukan meja gambar yang dibuang di Universitas Hiroshima ini. Ratusan buangan meja gambar ini sejatinya masih bisa digunakan dan dimanfaatkan, terutama bagi mahasiswa Indonesia. Ada baiknya meja-meja ini tidak dibuang begitu saja, tapi dipoles sedemikian rupa dan dikirim ke Indonesia. Tentu saja dengan asumsi bukan untuk membuang sampah ke Indonesia, tetapi menghibahkan peralatan yang masih layak pakai. Dunia Arsitektur Lanskap kian hari kian berkembang, ditandai dengan makin sadarnya manusia akan arti lingkungan dan alam sekitarnya. Keselarasan hidup dengan alam, baik yang biotik maupun abiotik, kerap kali telah terbukti memberikan banyak manfaat positif. Manusia memang tidak bisa lepas dari lingkungannya, bahkan kadangkala justru lingkunganlah yang membentuk manusia. Semakin baik lingkungannya, maka semakin dipercaya bahwa manusia yang ada di dalamnya juga akan semakin membaik kualitas hidupnya. Karenanya, prinsip dasar Arsitektur Lanskap kiranya perlu disosialisasikan ke masyarakat. Prinsip dasar imu Arsitektur Lanskap adalah bagaimana mengorganisasi suatu ruang dengan elemennya agar secara fungsional berdaya guna dan secara estetika bernilai indah. Prinsip sederhana ini bermuara pada perpaduan nilai fungsional dan estetika. Sejatinya dalam merancang apapun, kedua nilai ini harus tercapai, bila tidak, itu bukanlah Arsitektur Lanskap. Pencapaian nilai estetika bisa ditempuh dengan jiwa seni seseorang, dan hal ini tidak akan dibahas terlalu detil dalam tulisan ini. Pencapaian dalam nilai fungsional, salah satunya dapat ditempuh dengan ilmu Ekologi Lanskap. Bahkan pada akhirnya nilai estetika akan terbentuk dengan sendirinya bila aspek ekologi lanskap ini diterapkan dengan sangat baik. 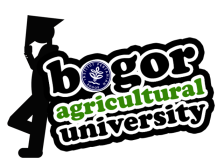 Ada empat aspek yang merupakan dasar dari Ekologi Lanskap, yakni (1) struktur, (2) fungsi, (3) dinamika dan (4) budaya. Keempat aspek ini akan dibahas secara mendetil dalam tulisan ini karena semuanya sangat berkaitan dan menjadi mata rantai yang memutar roda keberlanjutan dalam satu ekosistem. Struktur mengandung pengertian seluruh elemen yang menyusun lingkungan tersebut, apa pun itu. Struktur adalah kumpulan material yang membentuk suatu ekosistem, baik di darat maupun di lautan, baik di udara maupun di dalam air, baik bergerak ataupun tidak, baik bernapas ataupun tidak. Semua elemen yang ada didalamnya dikatakan sebagai bagian dari struktur. Strutktur kerap dilihat dari 2 dimensi. Dimensi pertama adalah struktur vertikal, yakni bagaimana seluruh elemen tersusun dalam pengaruh gravitasi bumi atau tegak lurus dengan permukaan bumi. Sebagai contoh, ragam tinggi gedung, ragam strata tanaman, perbedaan altitude, variasi elevasi, dan sebagainya. Keragaman vertikal atau biasa kita kenal dengan vertical diversity menjadi landmark dan mosaic yang unik dari setiap lanskap. Tidak akan ada keragaman vertikal yang identik dalam dua lanskap yang berbeda. Satu lanskap telah dipastikan mempunyai karakternya sendiri, keragamannya adalah identitasnya. Kumpulan mosaic dalam lanskap tersebut dalam matrix yang khas menjadikannya karakter yang khas. Dimensi kedua adalah struktur horizontal, atau kondisi terestrial dalam satu lanskap. Misalkan luas area, jenis tata guna lahan, jenis tanaman, dan sebagainya. Keragaman horizontal atau horizontal diversity merupakan penampakan penampang suatu lanskap dari atas permukaan bumi, semakin tinggi keragamannya maka semakin baik. Namun keragaman ini bersifat parabolik, ada satu titik di mana keragaman ini justru akan memberikan dampak negatif. Layaknya sifat jenuh air yang enggan melarutkan gula yang sebanyak-banyaknya, begitu pula sifat ini telah berada di alam sedemikin lamanya seumur bumi ini tercipta. 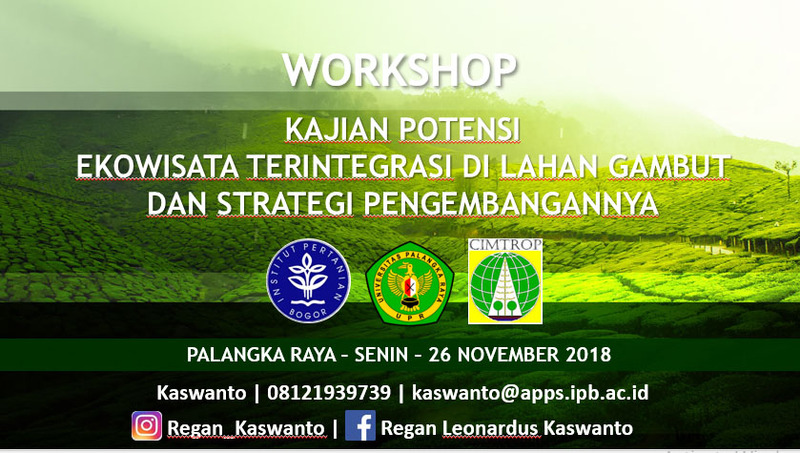 Pemahaman akan makna struktur ini akan memudahkan kita dalam menganalisis permasalahan apa pun di dunia aristektur lanskap. Secara spasial, bila seorang arsitek lanskap yang bergerak bidang RS dan GIS memahami makna struktur maka dia tidak akan berkutat dengan masalah teknis alat dan bahan, tetapi lebih ke arah tujuan dan analisis struktur tersebut. Bukanlah tugas seorang arsitek lanskap untuk mengetahui secara detil apa yang salah dengan satelit dan reflektannya, tetapi seorang arsitek lanskap perlu tahu prinsip dari perlunya satelit dan makna reflektan tersebut. KOMPAS hari ini lucu banget!!! Here are some easy pictures to get a 3D view. I bet you can do it in just 20 seconds or less. Almost everyone took this picture and got 3D in very easy way. You can try using many methods, and I guarantee you will absolutely got 3D view in a short time. The 3D stereogram widely known as Magic Eye 3D is different from other 3D pictures or technologies as no special viewing aids are required to see Magic Eye 3D pictures. By training your eye muscles to behave in a certain way, a 3D image will magically appear. Magic Eye 3D pictures are single-image stereogram specially made to trick the human brain into perceiving a three-dimensional (3D) scene in a two-dimensional image. Magic Eye 3D picture creates illusion of depth into a two dimensional image thus when you view a Magic Eye 3D picture in proper way you will see a clear 3D picture hidden inside the two dimensional image. When we see an object which is nearer to us we shorten our focus and again when we see distant objects we lengthen our focus, in a magic eye picture you also have to shorten and lengthen your focus to see the whole 3D view and thus you got the illusion of depth. The answers are in the bottom of this post.